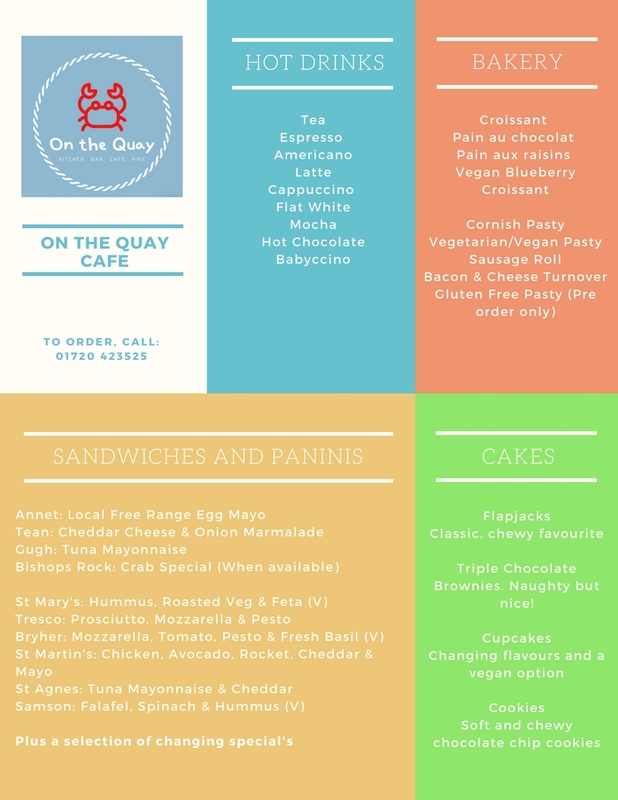 Our café is conveniently located on St Mary’s quay and is ready to serve you a range of hot and cold drinks and food. From salads and sandwiches to our homemade cakes and award wining pasties we can cater for all, which include great gluten free and vegan options. Our sandwiches, paninis and cakes are freshly made onsite. Convenient as part of our grab and go service so you don't miss you boat. Why not enjoy them as part of a picnic hamper? With Local and Cornish products filling our menu. Couple our meal deal with our cycle hire and you even get the hamper hire free!